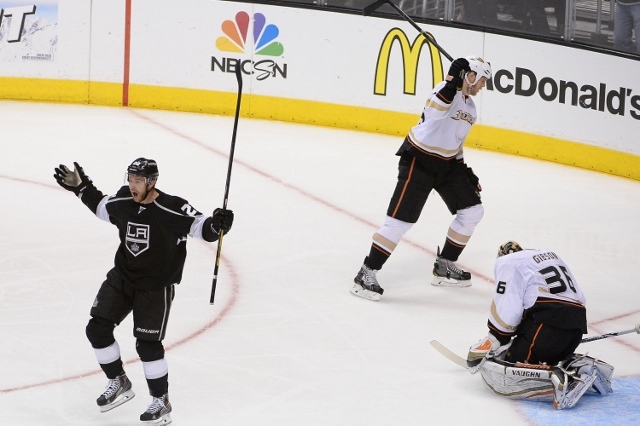 The good: There’s nothing flashy about Trevor Lewis’ game, and that’s meant complementary. 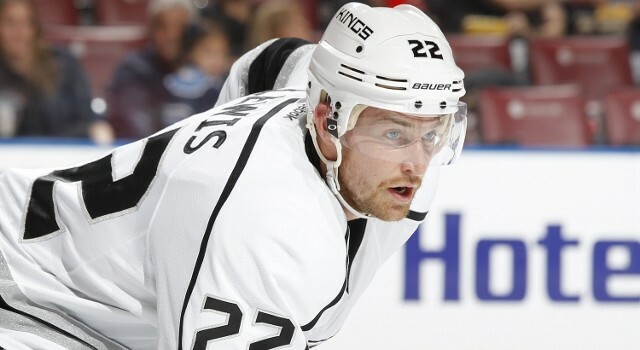 A blue collar, responsible forward who has provided the Kings tough minutes – if not consistent production – in his four full years with the club, Lewis is a player who is still doing things to help his team win hockey games even when he’s not scoring. 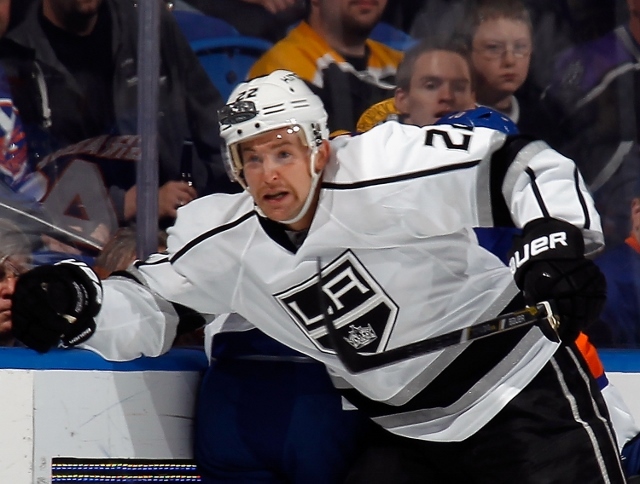 He’s among Darryl Sutter’s top choices to kill penalties, averaging 1:52 of shorthanded ice time in 2013-14. He’s also terrific at drawing penalties. Lewis’ +18 penalty differential led the Kings and ranked ninth in the league, trailing the likes of Matt Duchene, Tyler Seguin, Nathan MacKinnon and T.J. Oshie – all of whom received significantly more minutes. Lewis’ path towards setting a career-high in goals was a bizarre one. After being held without a goal for his first 38 games, he scored his career-high sixth goal in his 66th game, and with goal totals of three, three, five and six in his four seasons, his four goals in 26 playoff games certainly helped the cause. He’s among Los Angeles’ most versatile forwards and can play all three positions, though he appears now to be giving the team the most value as a third line right wing, or a fourth line center or right wing. 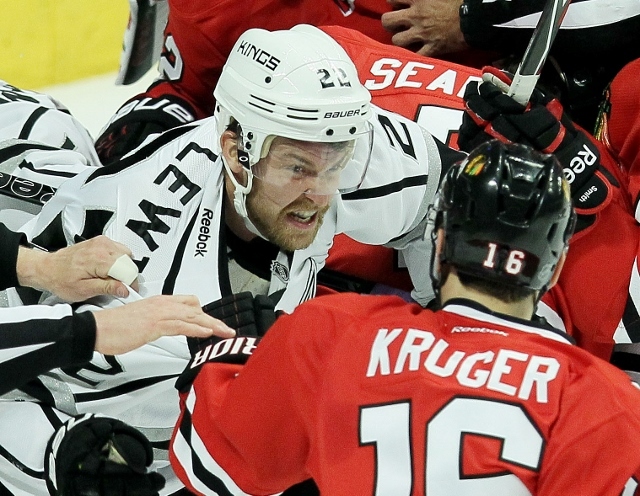 “That’s how we’ve handled him since we’ve been here,” Darryl Sutter said in January. “He’s played somewhere between the third and fourth line, penalty kill, plays right wing-center. It doesn’t matter home-road. He wants to score more, and you want him to score more. Six is a career-high for him, so that’s why you’re writing about it, talking about it. Hey, you want him to score. That was always our target. When you talk to him at the end of the year the year we won the Cup, we wanted him to score 15 goals.” The 15 goals are a stretch at this point, but Lewis remains a seamless, character fit in the team’s room who forechecks, affords little space when defending, and effectively takes care of many of the Little Things that help teams win hockey games. It’s great. You should’ve seen our bench when we came back. Kinger knew he didn’t kick that one in, so we knew our second one was Lewie’s. It’s great. He works so hard. He does a lot of the details within our game, within our system. A lot of stuff doesn’t get noticed when you’re writing articles or seeing highlights on TV, but for a teammate, for how he works, he’s a great teammate, so it was good to see him be rewarded. The bad: He tends to defend more than any other King forward. There are others counted on to drive and maintain possession more than Lewis – and Corsi isn’t generally a statistic that will ever provide a satisfactory account of Lewis’ contributions – but his 53.4% Corsi percentage was five percentage points below the team mean during five-on-five play and dropped in the postseason. Lewis is not among the most highly skilled members of the team, and after finishing with a 2.9% shooting percentage through his first two full seasons, has maintained a 5.4% shooting percentage since the 2012-13 work stoppage. His ice time was 1:57 off his 2012-13 career-high of 15:12, and despite appearing in 25 more games, Lewis finished with three fewer points than the previous season. He was an irregular minus-7 against Chicago in the Western Conference Final and logged only 5:47 of ice time in the double overtime series clincher. 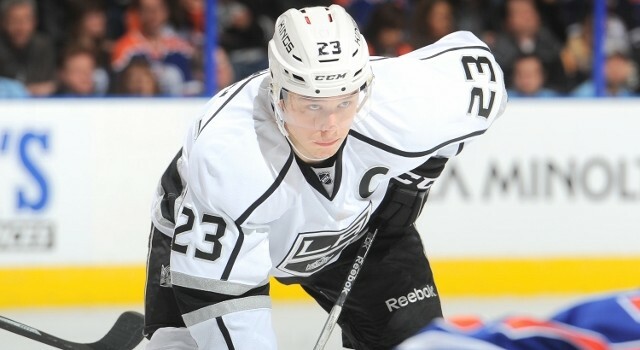 His 48.5% faceoff percentage was the lowest amongst the Kings who took at least 250 faceoffs (Stoll, Richards, Kopitar, Carter). Going forward: The 2013-14 season was a contract season for Lewis, who parlayed his second half scoring and constant hustle into a two-year, $3.05 million extension shortly before the playoffs began. 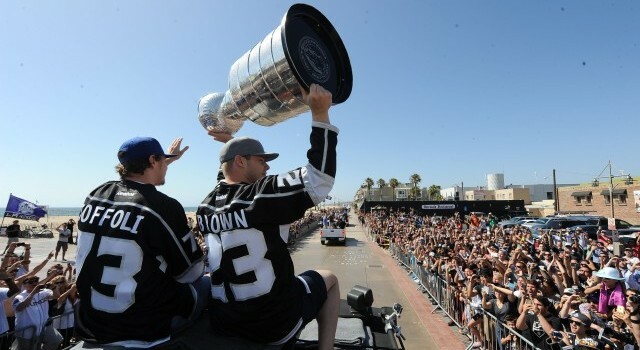 A former first round draft pick who has emerged as an effective forechecker, penalty killer and battler in a bottom-six role, Lewis provides character and continuity and while questions of his offensive ceiling appear to have been answered (barring any sharp rise in his shooting percentage), he’ll continue to play a similar role under Darryl Sutter. The upcoming two years will be his 27 and 28-year-old seasons, so there shouldn’t be hope or concern over any sharp deviation away from his mostly steady career tendencies. How would you grade Lewis?